C2 3 story office building features gorgeous mountain views! Center atrium features large fountain/pond for fish. 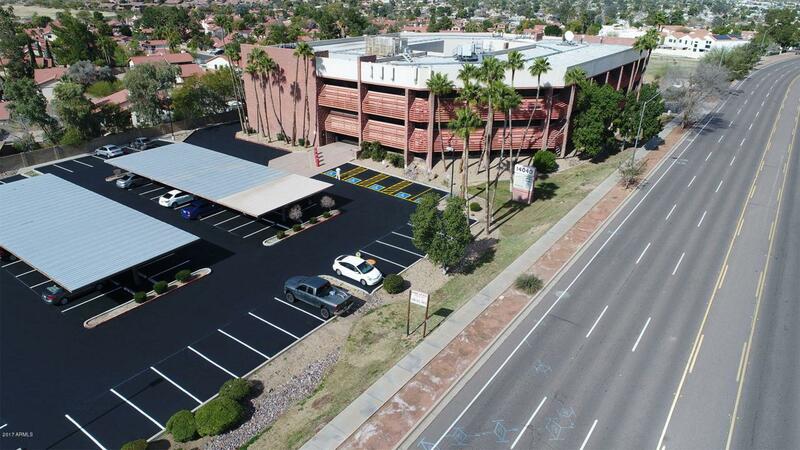 Conveniently located near 51 and 101 freeways!Suite 111 features a reception area, a large open space, 4 offices and a private bathroom! Price includes typical electric use, cam fees, rental tax! Great option for an attorney office, title office, medical! Other suites/configurations may also be available also, ranging from 300sf - 17,000sf for competitive rates!